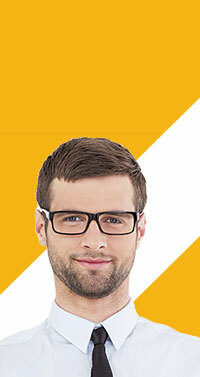 1-4 pcs per 18.990,00 руб. > 5 pcs per 14.280,00 руб. 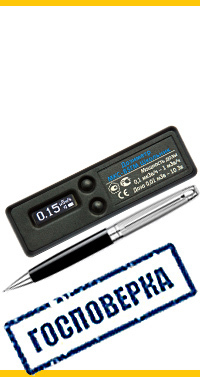 EXPERT-M Dosimeter-Radiometer is meant for measuring of photon (Roentgen and gamma-) radiation dose rate ambient equivalent, for measuring of beta-particles flux density and for estimation of alpha-particles flux density, radiation being emitted from contaminated surfaces. The instrument makes it possible to estimate beta-, gamma- and alpha-emissive nuclides contamination of foodstuff, water, products, ground and other samples and to perform analysis of residential and non-residential premises contamination. The instrument can be used for operative search of radioactive radiation sources or contaminated items; it can be used by personnel working in radiation monitoring agencies, public health, emergency condition service, secret services, environment protection agencies, by agricultural products manufacturers, builders, customs officers, bank workers and staff of other organizations usually operating under normal conditions, but solving problems related to identification of local radiation sources or certain items contaminated by radioactive nuclides (substances). 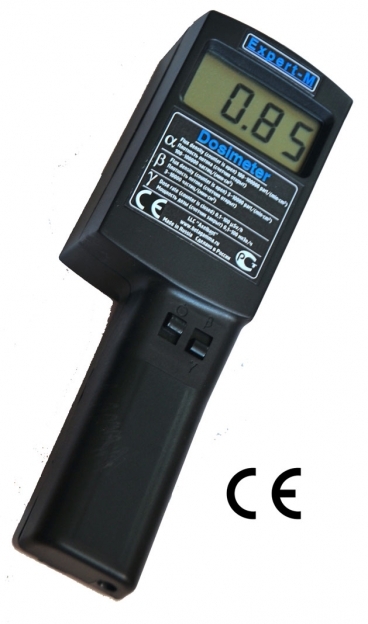 The device is certified for compliance to specifications GOST R 50460-92. 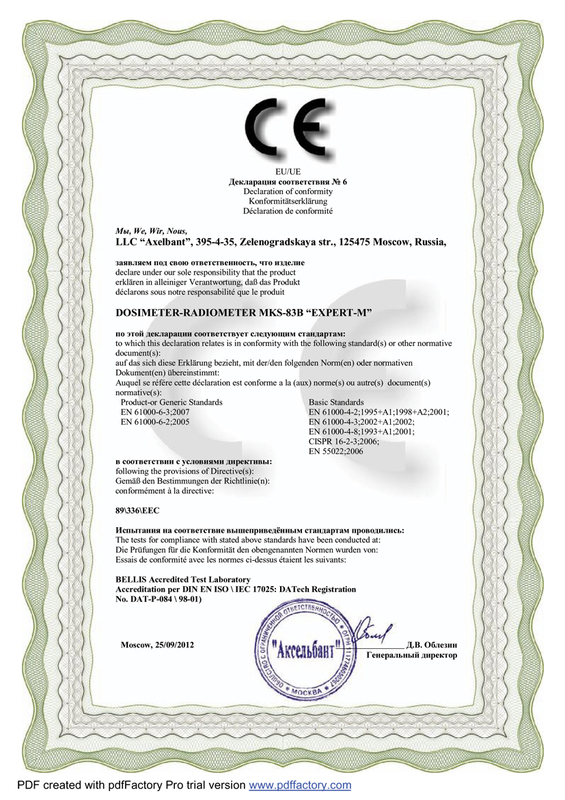 The device has a European certificate of conformity CE (European Directive 89 336 EEC). EXPERT-M makes it possible to identify radiation safety of working places, residential premises, territory and radioactive contamination of objects, things, materials and samples. Testing of paper money and money packing is possible. The instrument is simple to operate; it has got only two operating controls. Information is displayed on a four-digit indicator panel. The instrument uses continuous measuring mode with change of measured values on the panel every 2 seconds; it is very convenient for operative monitoring. The instrument has got audio signaling for search of radiation source; audio signal frequency changes in case of a source identification. 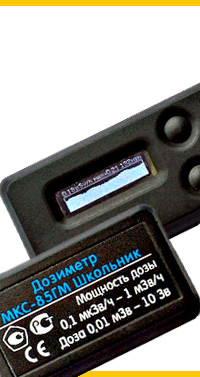 The instrument power supply is maintained by a Camelion (9V) battery or by a GP1604S-51 type battery. 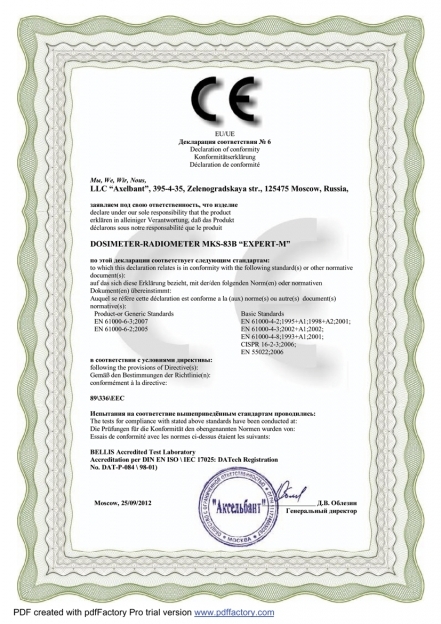 The instrument undergoes certification in the State Register Measuring Means in Federal Agency for technical regulation and Metrology; SANITARY AND EPIDEMIOLOGIC CONCLUSION as regards compliance with the state sanitary and epidemiologic regulations and guidelines Radiation Safety Norms as well as with Radiation Safety Norms provisions shall be issued. 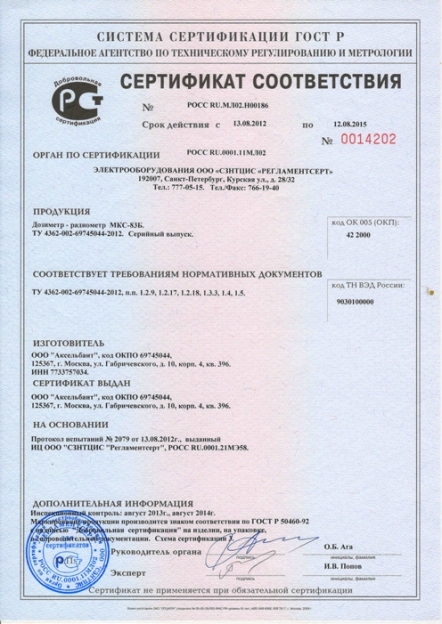 CE-sertification is in progress (november-december 2011). Shift duration/ indication setting, s.